May-June Groupread is "Sword and Planet": Only one topic for the next two months, but it is a big one! 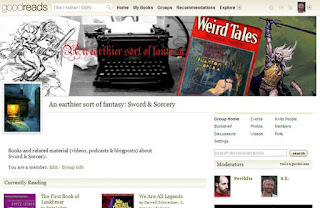 Please join us (any sci-fi adventure with swords will suffice). 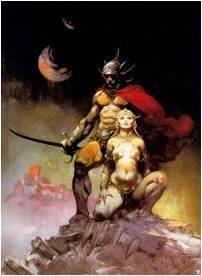 Banner: Enjoy the mashup of Frank Frazetta's version of John Carter and Barsoom (drawn from below coverart)! Immediate Streaming: Click the buttons on the side to see which one's you can stream immediately...and if you are a Amazon Prime member (watch some for free...right now!). When did invading a fortress via a sewer become popular? 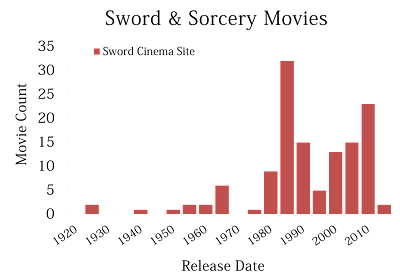 I do not know precisely, but there has been a recent surge. Between late 2011 and mid-2012, I saw three Sword & Sorcery movies that employed this tactic (details below). Two of these involved the protagonists breaking-in to their infested homes. I think the originality has been exhausted now, and I hope this fad fades away. 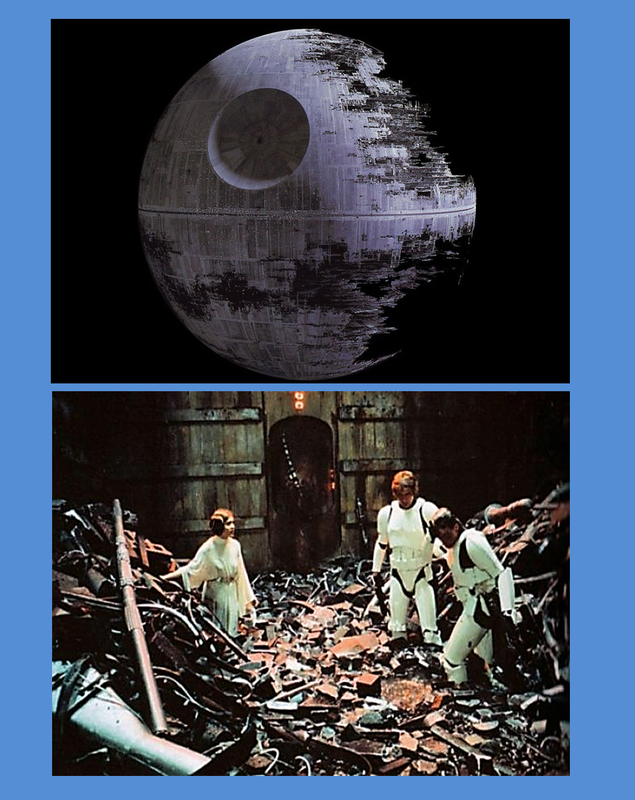 George Lucas deserves credit for cinematically popularizing a fortress escape sewer-scene in his 1977 Star Wars IV, A New Hope (Death Star garbage compactor scene). 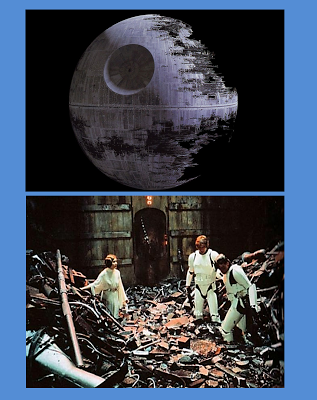 Ostensibly, Star Wars is Sci-Fi rather than Fantasy, but it employs most every Fantasy trope that exits. 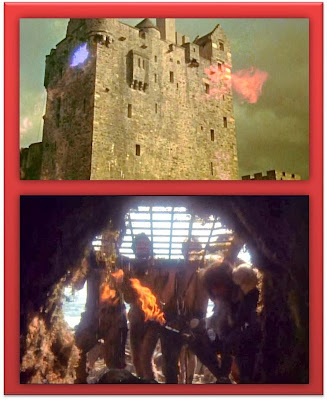 It certainly seems to have inspired the 2011 Conan the Barbarian break-in into Zym's tower (below). The hero Talon sneaks through the sewers to rescue potential heir to throne Prince Mikah and his sister Alana. 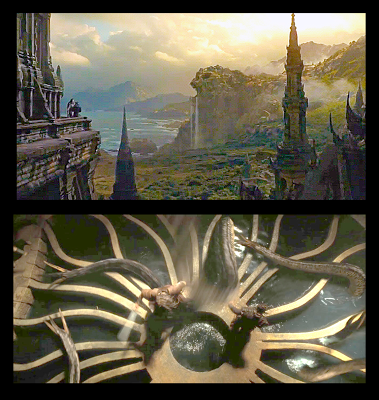 More special effects were dedicated to the randomly-placed, lurking sewer-serpent "dweller" than were used to demonstrate the power of the magical mask of Acheron motivating the story. So strangely, this scene was more exciting than the climax of the movie (Here is a link to my rant on that). I enjoyed this movie (Link to review) , but I took a sigh when this sewer-trope was demonstrated. Snowwhite had escaped the castle via the drainage tunnels, so when she returns with and army, she sends some dwarves in to raise the gate. Very clever...I suppose. 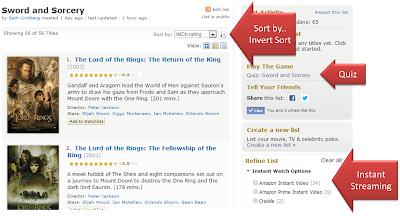 Movie Queue: The last few years I have been capturing lists of forthcoming Sword & Sorcery movies (Link to IMDB :Sword and Sorcery: Past and Future Listings). Moving beyond that, in an attempt to capture a list of past Sword and Sorcery movies, I assembled a Pinterest Board. This exercise made me realize that I had missed seeing Roger Corman's 1980's Cult Classics movies: DeathStalker I,II,II, IV, the Barbarian Queen I,II, and the Warrior and the Sorceress (there are even more, most merely recycle footage). Amazon has a collection deal, in which I can get 4 of those. Would it be worth my time/money (6hrs/$18USD) to complete this gaping hole in my life? How essential are these B-movies toward developing a well-rounded S&S groupie? I have since ordered the movies...and will be watching them soon...more on that below. Trends: The trickle of movies in 1960's and 1970's was notably composed of Ray Harryhausen's classic clay-mation masterpieces (Jason and the Argonauts, Sinbad movies). 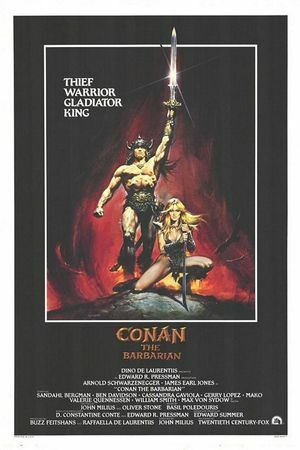 The trends show clearly how John Milius's 1982 "Conan The Barbarian" movie, starring Arnold Schwarzenegger, inspired a lot of others; it had followed closely on the heels of "Clash of the Titans," Ray Harryhausen's last animated masterpiece. Some featured new perspectives, like Excalibur, Fire and Ice, and Legend...and were good enough to enhance, not dilute, the genre (another blogger tackled the 1980's category thoroughly-link). Unfortunately many "Conan clones" generally lacked in quality. Well actually, even Arnold's next Conan film, "the Destroyer" was more cheese than it was entertainment...and the 2011 Conan reboot with Jason Momoa (which, despite a good performance from Momoa) had a blatant disregard for basic story-telling. 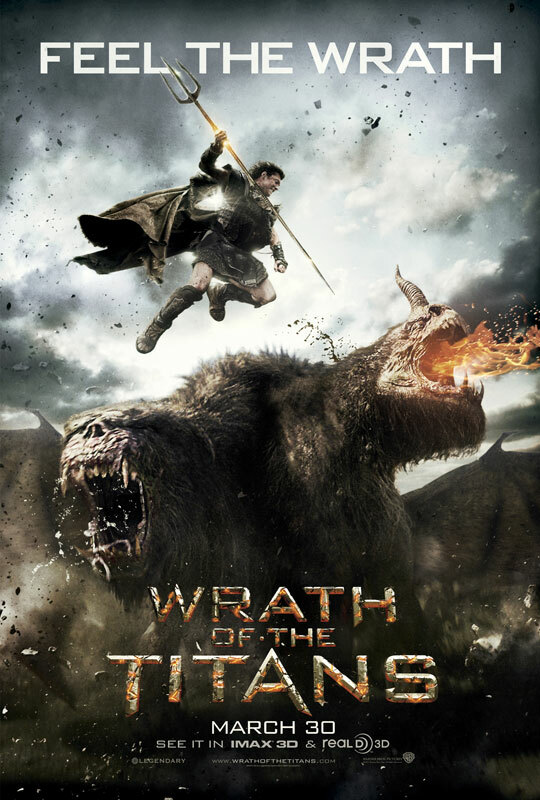 The 2010 reboot of Clash of the Titans and its sequel 2012 Wrath of Titans were lackluster (a third film is in development, for what that is worth). So with all this, should we have hope that quality fantasy will return? "There are no plans for Momoa to return. 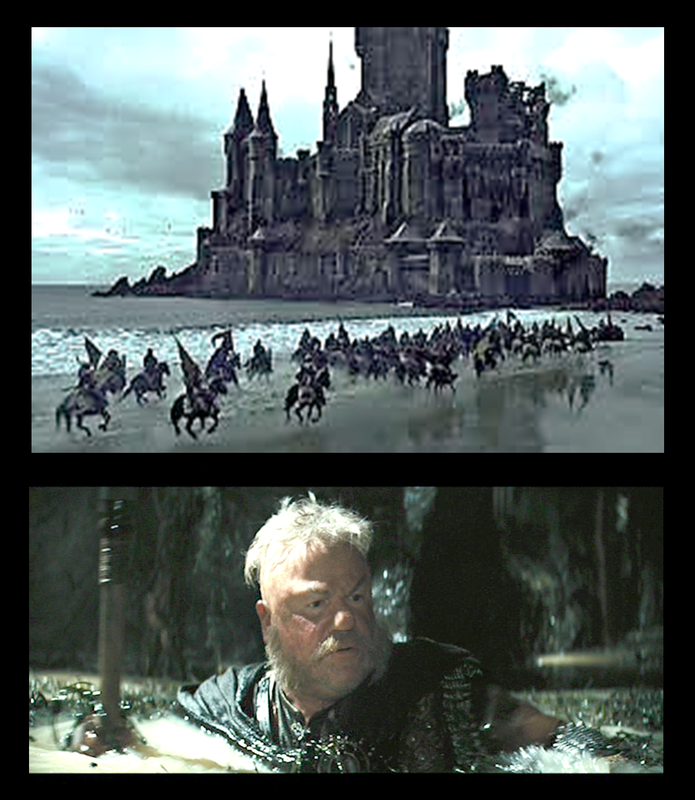 Morgan said that in his mind,The Legend Of Conan not only skips over that film, but also the 1984 sequel that Schwarzenegger starred in. The direct link is to the original, which was directed by John Milius from a script he wrote with Oliver Stone." Deathstalker: Anyway, as we await new flicks, I find myself checking out the old ones I had missed. I do not expect much. There is a stunningly hilarious and through review of the Deathstalker series on cinemassacre.com from 2010 (embedded video below). It dissects the absurdity of the series, even going as far as to quantify the ratio of fight scenes to women's breasts shown per movie. Of course, I have not seen the movies yet, but have just received them by mail and I am mentally prepared now. What is sad is that many of these had great covers by artist Boris Vallejo, which promised to deliver serious Sword & Sorcery. Great marketing I suppose. I will periodically update this page throughout 2013. Here is the link to last year’s queue, provided since many films slip from year to year: 2012 Sword and Sorcery Film Queue. 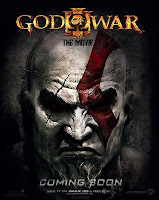 I heard about this via the Goodreads Sword and Sorcery group (link). 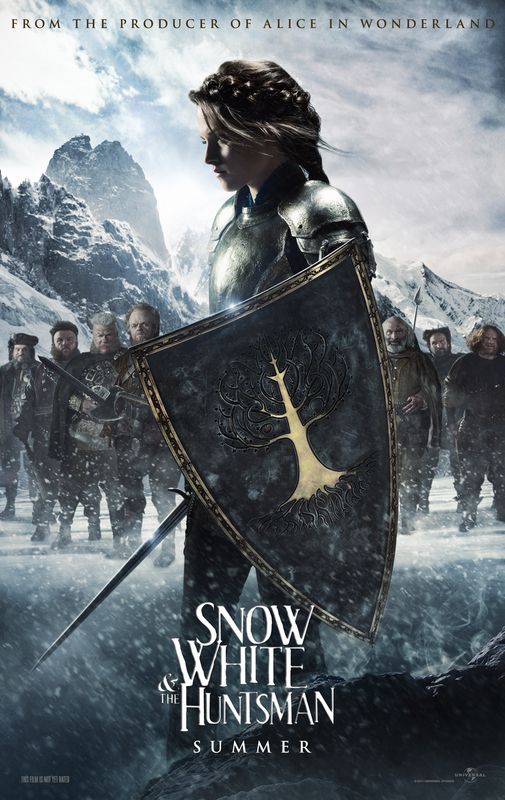 From Wikipedia: "The Seventh Son is an upcoming fantasy film based on the first installment in Joseph Delaney's children's dark fantasy novel series The Wardstone Chronicles titled The Spook's Apprentice." Patrick Stewart’s narration may give this some street cred. According to Fangoria magazine's interview with Michael Basset. FANGORIA: So we can expect a sequel to SOLOMON KANE? BASSETT: We intend to film more of Kane’s adventures. The first one has done very well in festivals around the world; now we have to wait and see how it’s received by a larger audience. Our intention is to make a trilogy, and if everything goes as planned, we will leave for South Africa to start production on part two. Arnold Schwarzenegger is back as Conan (~2015 "Legend of Conan" movie). Multiple news sources claim it will ignore the silly Conan The Destroyer and poorly produced 2010 Conan reboot (with Jason Momoa, who did okay but not well enough to compensate for other issues)...in other words, the 2015 movie is being designed as a direct sequel to the 1982 Conan the Barbarian. 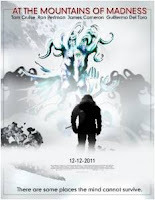 A Fire and Ice live action movie began being produced in 2012 (and a possible Death Dealer after that?!~). 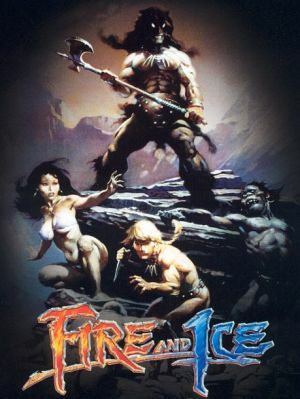 IGN reports this remake of the rotoscoped classic in which Frank Frazetta and Ralph Bakshi teamed up. And after that… Narnia V: The Silver Chair is planned. Check out Michael Moorcock's blog for details. 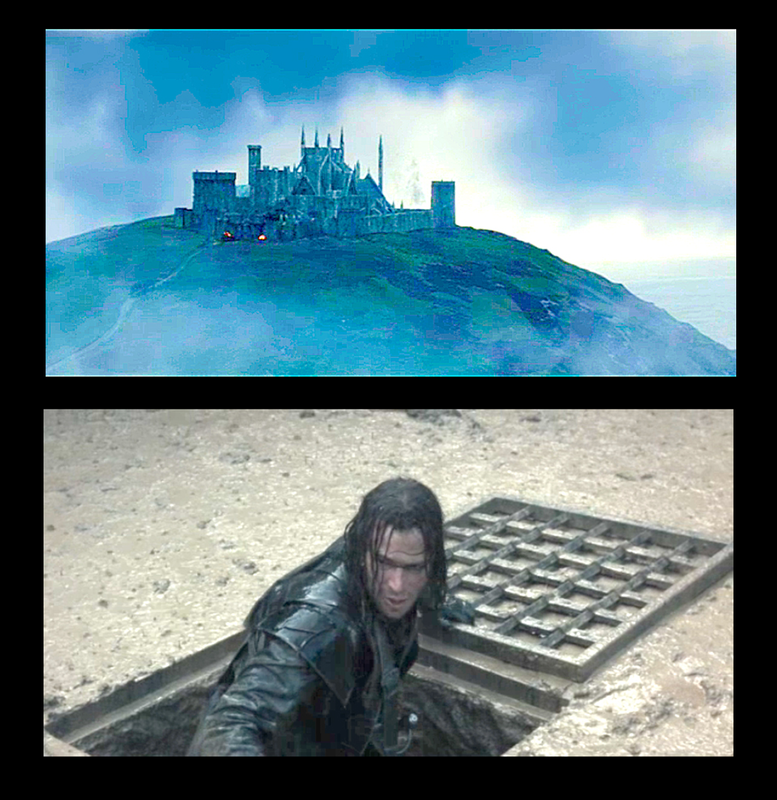 Castlevania: Based on Konami's popular vampire games; this movie has been bounced around since before 2009. Announced in 2005, this sequel to the Dark Crystal (1982) has stumbled, always making some forward progress. 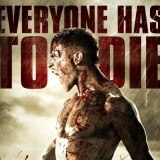 This list is limited to Sword & Sorcery books featuring protagonists who fight despite having no chance of winning (i.e. living, saving their people, freeing themselves from a curse, etc.). Not everyone gets excited about reading about "doom," but some of us relish watching a hero resisting death's embrace. A happy ending is not what all readers want; some of us just prefer wild journeys (the struggle is the focus, not the end). R.E. Howard's Bran is less famous than his Conan, but Bran is arguably more doomed: he leads a devolving people and culture (the Picts), is embattled by the forces of Rome and must work with dark magic to survive. 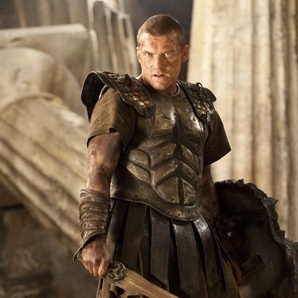 Loosely based on the biblical Cain cursed not to die, Kane is an immortal warrior and general. The series has an ambiguous sci-fi foundation that hints at alien technology, but despite these undercurrents the Kane series are decidedly fantasy masterworks. Want a doomed hero who has military prowess? Read Kane. More “Sword” than “Sword & Sorcery”, Gemmell imbued his aging hero Druss with qualities quintessentially legendary. Druss returns from his retreat to protect a mountain fortress from an encroaching barbarian horde. Epic battles abound, and Druss transitions to an respected ghostly status fueling a series of books. 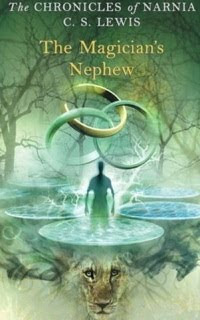 Zelznay is better known for his The Amber Chronicles series which blended swashbuckling fantasy and a trippy sci-fi world. Zelzany (a native Ohioan) also wrote yarns of a hero returned from the dead which are as satisfying. In 2010, Vardeman recently wrote a novel adaption for the God of War video game series. 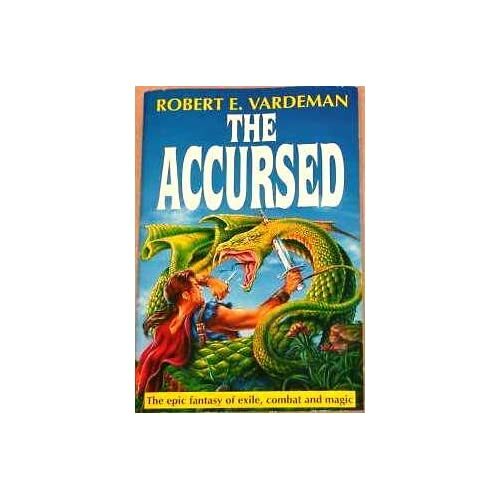 Turns out he has been writing for decades, and in 1994 he published a series regarding a cursed warrior (I just added this to my to-read queue). This serves as a placeholder for all the other doomed heroes I have yet to discover. Can they make-up for the poorly made 2010 Clash of the Titans 3D with a sequel? MAR •John Carter of Mars: How will Disney treat Edgar Rice Burrough’s (Tarzan author) sci-fi fantasy? MAY Sinbad: The Fifth Voyage: Patrick Stewart’s narration may give this some street cred. Thor actor Chris Hemsworth teams up with the Vampire Diaries chick (Kristen Stewart) for some epic action. Should be an interesting comparison versus Julia Roberts’ rendition of Snow White in Mirror Mirror due out this year as well. JUNE •Pixar and Disney's Brave (2012) - Disney tries out Heroic Fantasy! 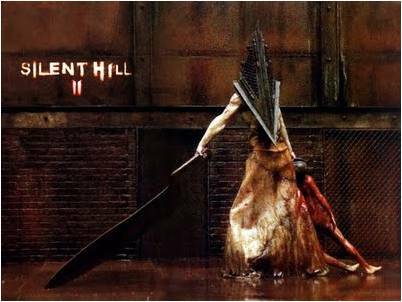 AUG Silent Hill Revelation (sequel): Okay, not 100% Sword and Sorcery, but it is a mix of Horror-Fantasy and Pyramid Head does have a large sword and Michael Basset (who just delivered Solomon Kane) is leading the effort. 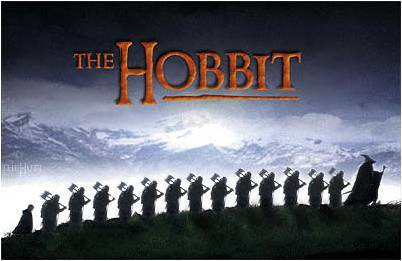 DEC •The Hobbit (2012); stymied by a writer's strike and a legal tangle with the Tolkien estate, the prequel(s) to the Lord of the Rings trilogy promises to be great. Not available in US yet. 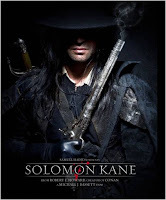 Solomon Kane , a well received depiction of R.E.Howard's doomed, religious hero. Click here to request it to come state-side by "Demanding" it. 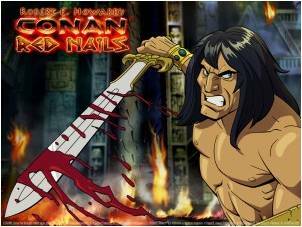 •Red Nails (Since 2006) this endeavor has struggled; based on REH's only full length Conan novel...see some pre-production animations that surfaced. 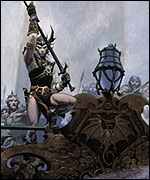 •Elric movie: Check out Michael Moorcock's blog for details. •Castlevania: Based on Konami's popular vampire games; this movie has been bounced around since before 2009. 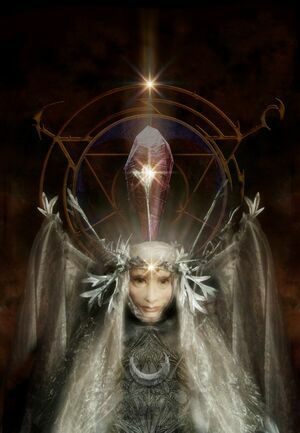 •The Power of the Dark Crystal (2011??) Announced in 2005, this sequel to the Dark Crystal (1982) has stumbled, always making some forward progress. •Red Sonja: Let's hope it is better than the 1985 version... if it is made at all. The lead role was to be played by Rose McGowan, but she switched assignments to play Marique in the 2011 Conan the Barbarian movie. At the Mountains of Madness: More weird horror/fantasy than Sword and Sorcery, but it is Lovecraft...and Guillermo del Toro was involved.